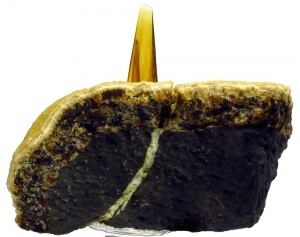 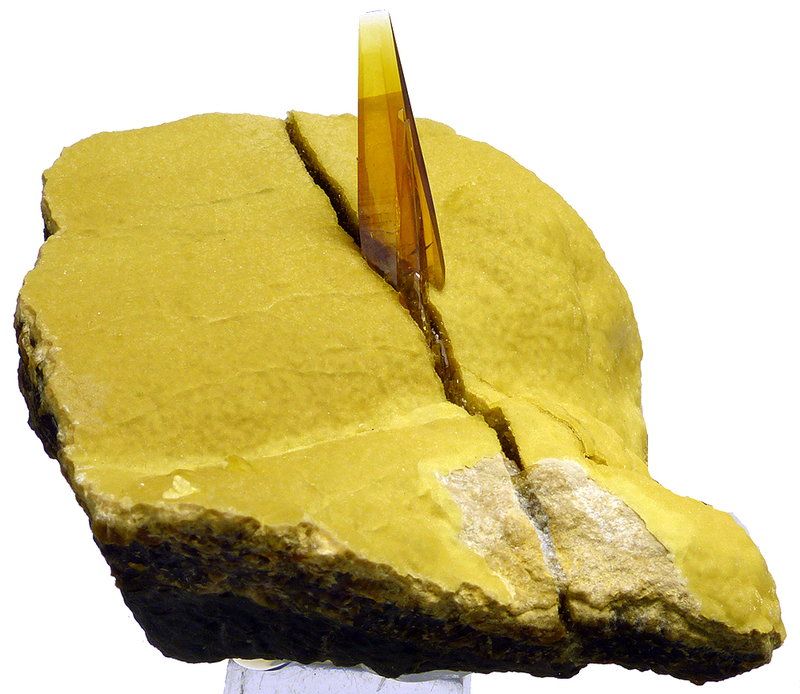 Are you sure you want to buy Baryte & Calcite for $520.00? 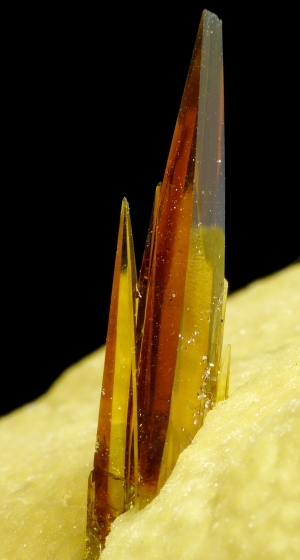 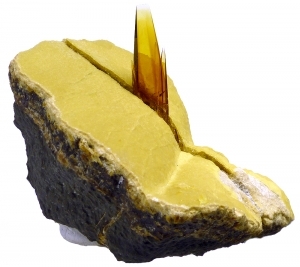 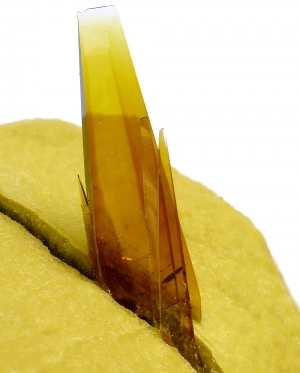 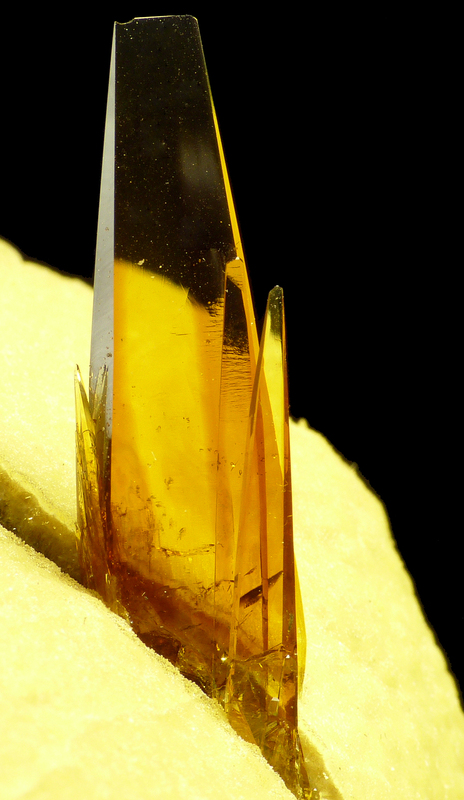 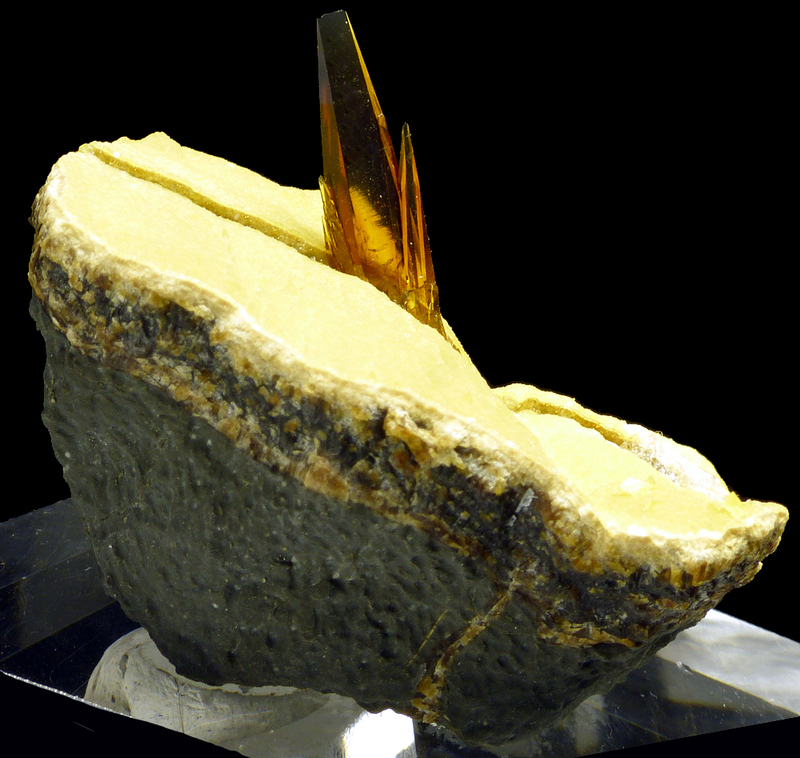 Ver aesthetic, lustrous, well formed, teanslucent and gem crystals of baryte in very good, orange color growing on natural rock covered by yellow calcite. 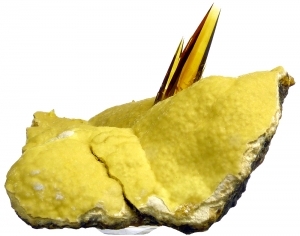 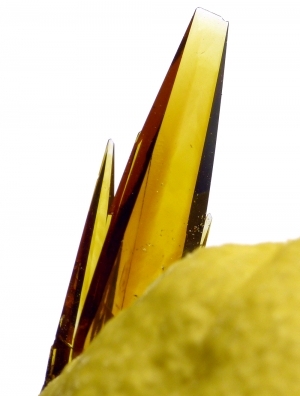 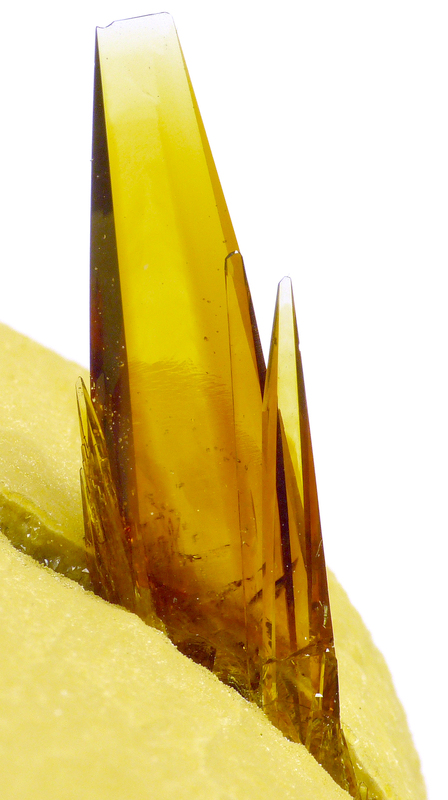 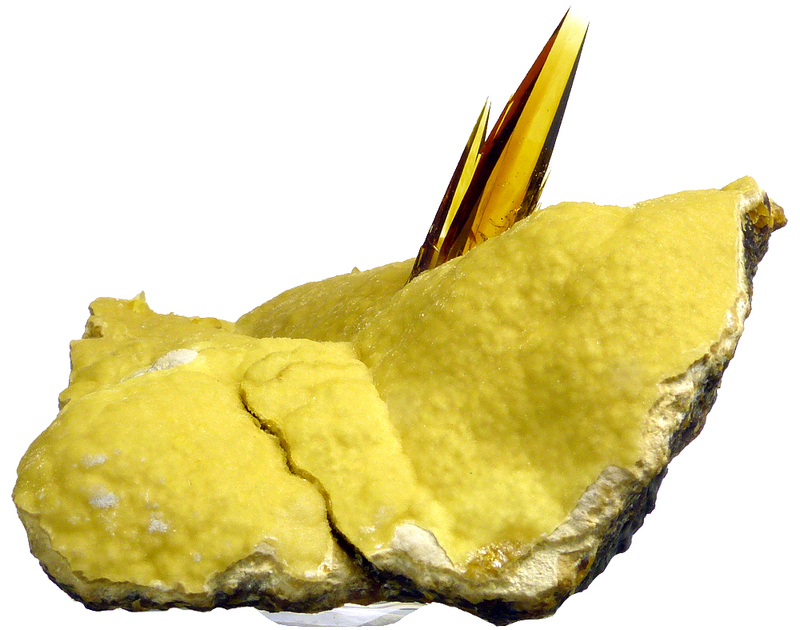 The biggest crystal size is: 2.6 x 0.9 cm. Great color and good luster.